Summer has stolen a march on Spring in Washington, D.C. It’s hot and I am not ready for heat — physically, psychologically or sartorially. But one change that is fairly easy to make is switching from my winter bag[s] to my summer bag[s]. I use my black bag[s] year-round, but in the warmer months black can look heavy with an outfit made up entirely of light colors. 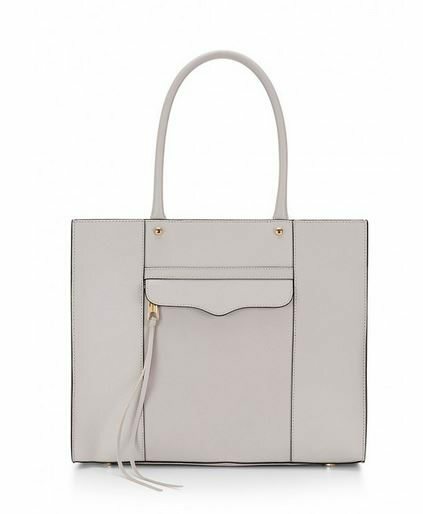 If you are thinking of investing in a summer bag and are wondering what color would work best, I would suggest a light neutral: camel, grey or . . . wait for it . . . pale pink. Pink looks beautiful with white, camel, khaki, brown — all the summer neutrals. 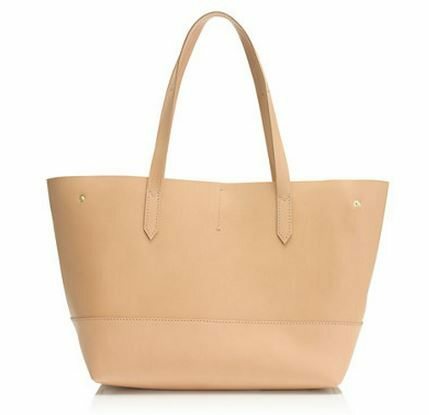 Under certain circumstances, a pale pink bag might be lovely with navy. I would carry a pink bag (theoretically) with various shades of red and orange — raspberry, fuschia, watermelon, tangerine, cantaloupe, clementine — but I wouldn’t wear it with other pastels. And the rest of the humans like pink with grey, so who am I to object? With pink, you do have to pay attention to the undertone. I like a true pink, the color of the palest cotton candy. 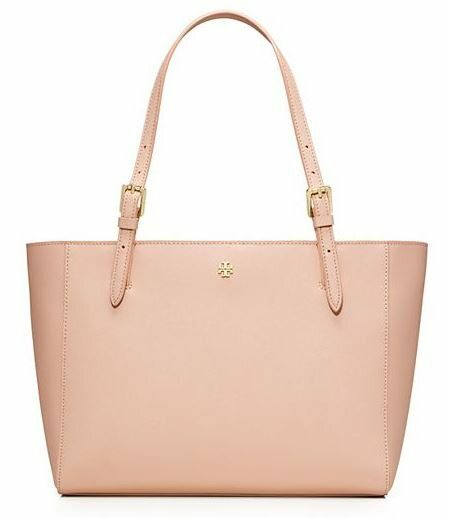 This Tory Burch bag in “Light Oak” is a pink that leans toward peach — like the inside of a conch shell. Beware of the tan pinks with too much brown in them; they look flesh-toned, which is slightly creepy. 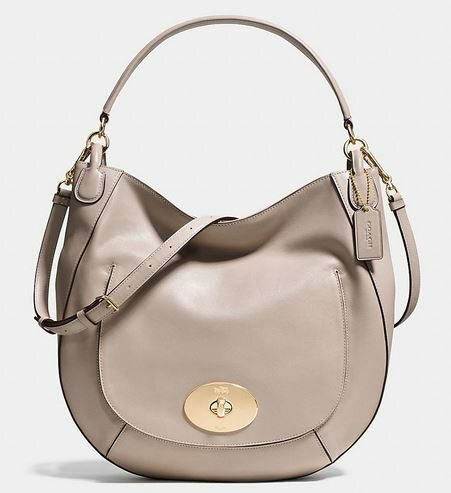 I bought a bag in this color a few months ago and my husband said, “That looks human. I can’t look at it.” So, it was returned. 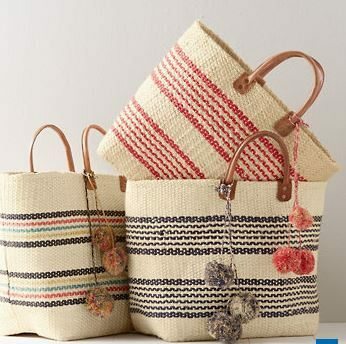 Moving on to casual bags: I love straw bags in the summer, too, though I don’t actually have one. We have rain storms (brief, but violent) during the summer months and I am either too pessimistic or too risk-averse to start the day with a straw bag knowing how it might end. And yet the allure of those pom-poms may be too strong to resist again this year . 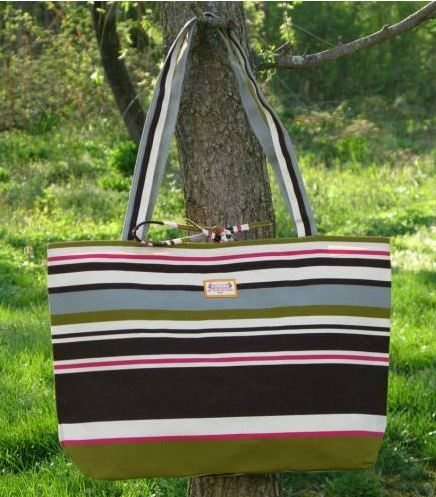 . .
Summer is the perfect time for one of Orla Kiely’s laminated bags or a striped canvas tote. Ah, this is a great post, and very useful! 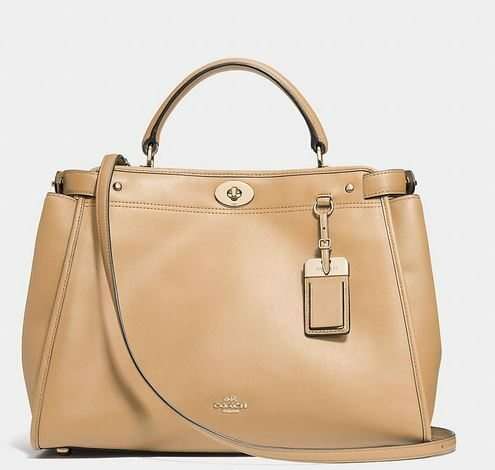 I am a shoe girl, not a bag girl, so while I can appreciate (and desire) the polish that a good, reliable bag brings to a person’s wardrobe, actually choosing a purse leaves me a bit flummoxed. I think: Wait, do I really like that? Or: I think I like that, but is it ridiculous? So. 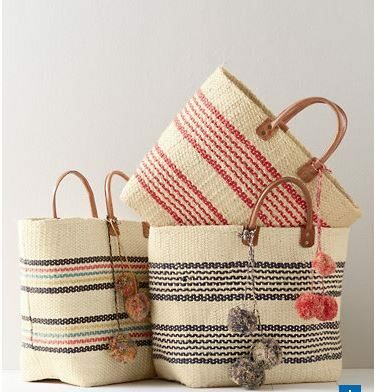 For summer I am considering a woven leather bag in a light tan. My thought was that this would have the summery texture of a straw bag, but would be softer and more durable. And I could wear it with, say, a straw sun hat without looking too matchy-matchy. (My lifestyle/dress code is more casual than yours, but still — one wants to look put-together.) But what does The Directrice think — is this ridiculous? Sarah — Your idea is the opposite of ridiculous; it reflects a reasoned and logical approach informed by aesthetics. Sounds like you will be charmingly accessorized this summer! And thank you for visiting the blog. I really enjoy your blog — you have a great voice and strike such a nice balance between having fun with your wardrobe and being thoughtful about it. And how could I not dig a blog that has footnotes! 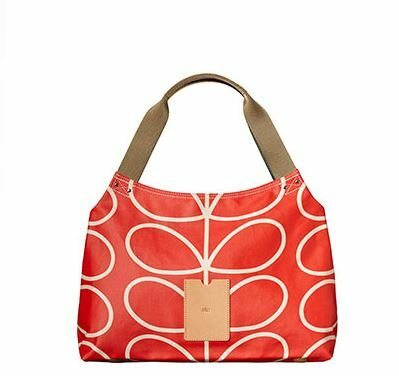 I just sprung for a new Orla Kiely stem bag (or rather, I informed my husband he was giving it to me for Mother’s Day). I love them too, and my last one was 4 or 5 years old and worked very hard for me, but was showing its age. Amazon has some good prices, especially if you are not wedded to getting the new season options — here is my new buddy: http://www.amazon.com/Orla-Kiely-Laminated-Midi-Sling/dp/B00GJIKYWG/ref=pd_sim_sbs_a_4?ie=UTF8&refRID=03WW3XFGHWQ3XZ0NCQ7M. Thank you, Bubu, for the hot tip! For me, past-season is fine because I buy things hoping to use them for many years. The Orla Kiely website also has substantial markdowns (sometimes in two phases) at the end of each season. I found the Directrice over the weekend and have already devoured all your posts. I appreciate how your style is assertive (a necessity in a staid profession) while also creative, elegant and fun. I work in a somewhat staid profession (academia) and so was searching for inspiration on how to develop polished yet creative ensembles. In particular, I’m looking for inspiration on how to develop business casual outfits for hot summer weather.